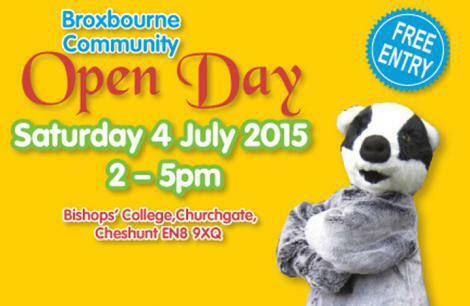 Broxbourne Community Open Day is a free annual event showcasing the wealth of local organisations in Broxbourne and the surrounding area. 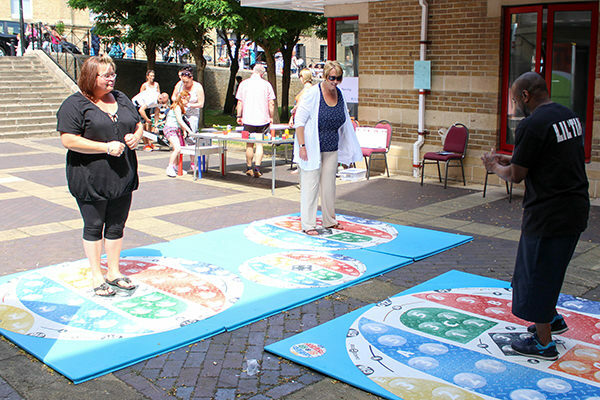 The 2015 Open Day took place on Saturday 4 July, at the Borough Offices in Cheshunt. 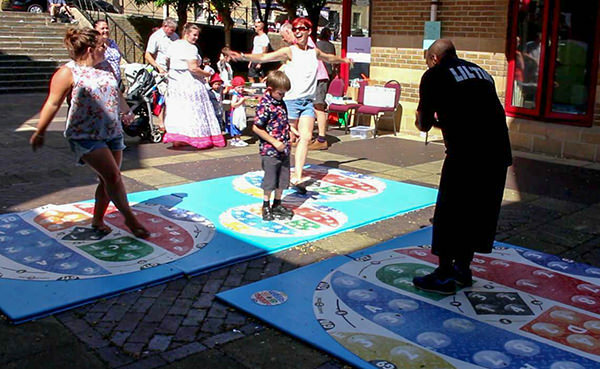 The event provided great entertainment for all ages and featured attractions, activities and performances alongside local information. Around 2,000 visitors attend the event each year. 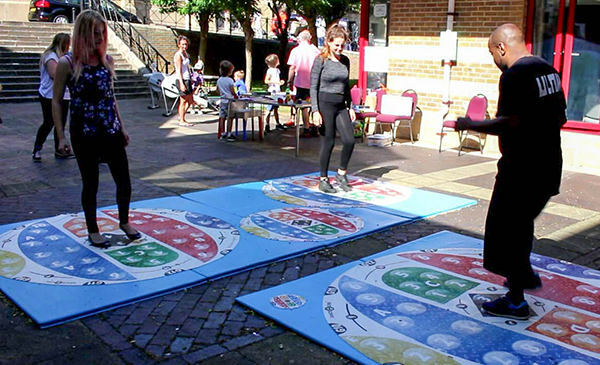 Danceacise took part and proudly demonstrated the innovate Precision Mat which was very warmly received by Cabinet Member for Leisure & Culture Dee Hart and Councillors alike. 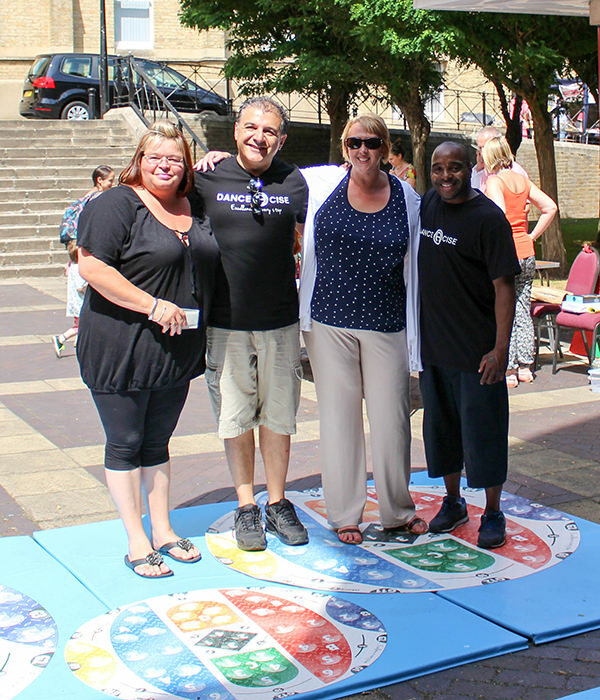 Councilor Hart and Sue Ball-Greenwood gave the Precision Mat a test run led by Tim Hamilton co-founder of Danceacise. 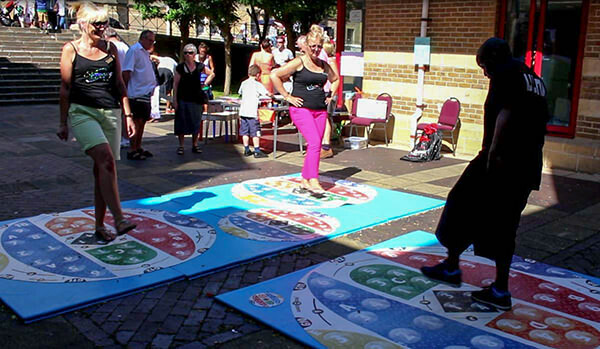 Soon after residents from the age of 3 to around 50+ jumped on for a dance and fitness workout. 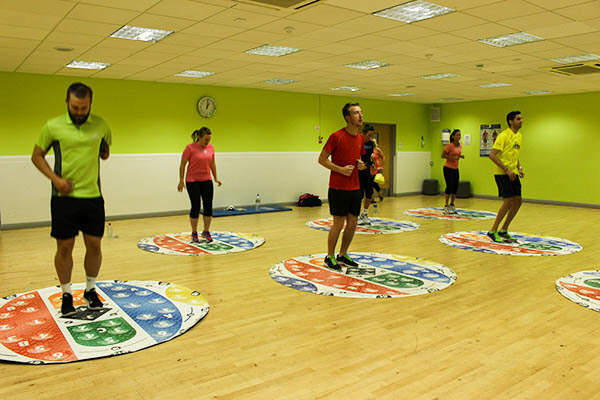 The feedback was excellent and we are planning to run Precision Mat dance classes at the Laura Trott Centre in the new year. 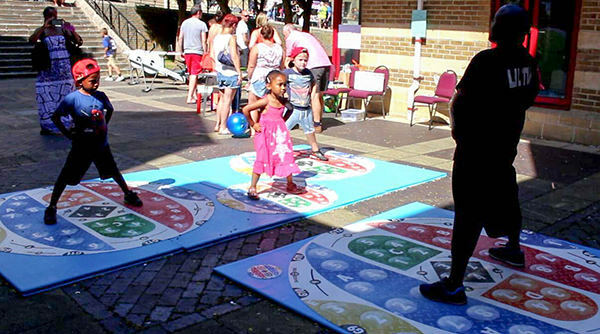 People of ALL ages and ALL physical abilities/disabilies can benefit from this project and NOBODY is excluded. 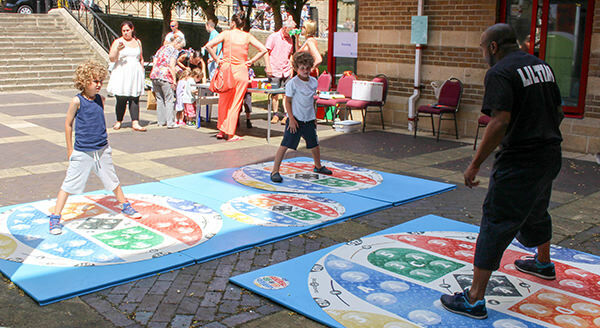 Colours/Numbers/Clock face, are all used too to ensure inclusion even for the youngest of participants. 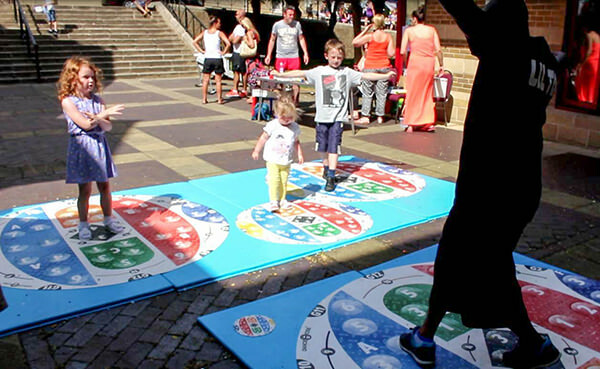 We are sure that once they have ‘crossed that line’ to Dance & Fitness, the uptake will be significant in the immediate future and we will begin to speak with local spots and dance centres to plan in permanent classes for the most popular disciplines on a regular basis.